The “Lucky Strike” spy camera was made by Mast Development Corporation in the United States. Only two of these were ever made, one now resides in the Signal Corps Museum, Ft. Monmouth, U.S.A. The other one is coming up for auction by Bonhams in their Important and Rare Cameras auction to be held in Admiralty, Hong Kong, on Thursday 3rd December 2015. This then represents an opportunity to own a unique and historical camera, one of only two in existence. 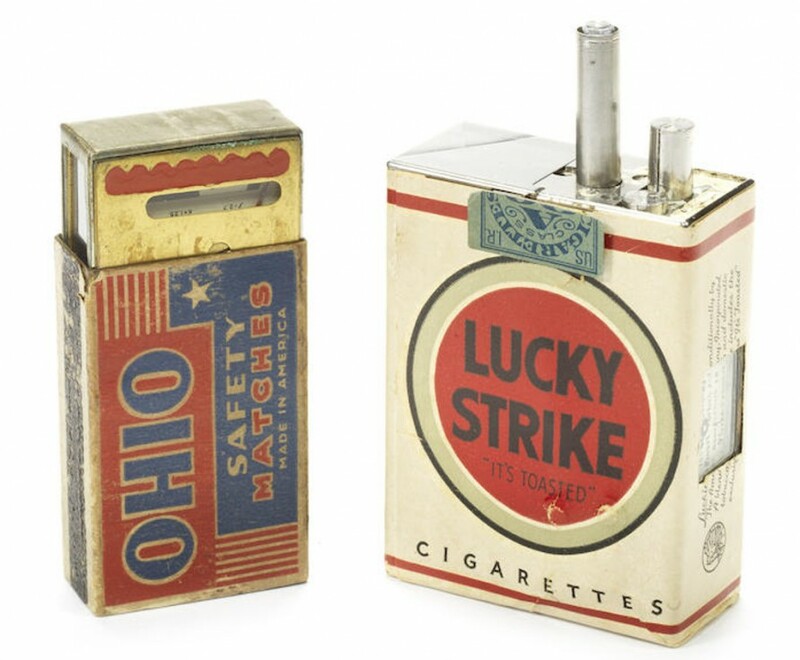 The “Lucky Strike” spy camera was made on special order of the US Signal Corps between 1949-1950. So these are early Cold War artefacts. The camera itself uses 16mm film and has a metal body, chrome top plate with matte black body. The camera was made to the high standard necessary to get high resolution imagery onto the 16mm film. The f/2.7 17.5mm Sonnar lens contains five elements and the camera has a focal plane shutter mounted in front of the lens providing shutter speeds “B, 00, 25, 5.” and with four aperture settings. The camera could take eighteen pictures. With the camera is a metal bodied selenium light meter built by Quavas Corporation disguised in an Ohio Safety Matches box. For those potentially interested in bidding for this camera and light meter you will find the Bonhams auction page if you click here. For those interested in this camera and others like it reference to this camera is to be found in William White’s book “Subminiature Photography” on pages 207 and 209-210. You will find the book on Amazon if you click here. The camera is also mentioned in Michael Pritchard’s book “A History of Photography in Fifty Cameras (Fifty Things That Changed the Course of History)” on page 131. You will find that book on Amazon if you click here.